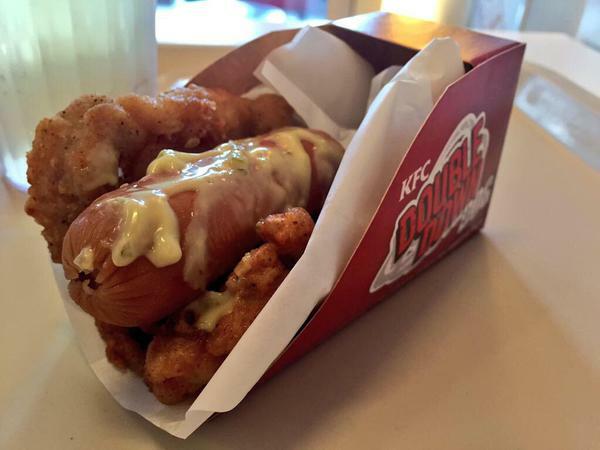 KFC's Double Down Dog Needs To Make Its Way Stateside, Pronto | OhGizmo! Look, we know what you’re going to say. It’s gross! What was KFC thinking?! Oh my God, what an atrocity. And yet… and yet we want to feast on this ridiculous creation by everyone’s favourite fried chicken joint. It’s called the Double Down Dog and is the Colonel’s version of a hot dog, except the bread bun is actually fried chicken. If that doesn’t blow your mind, then we suppose you’re not into food quite like we are. That’s ok, we sympathize with more sensible hearts; not everyone likes to eat dangerously. 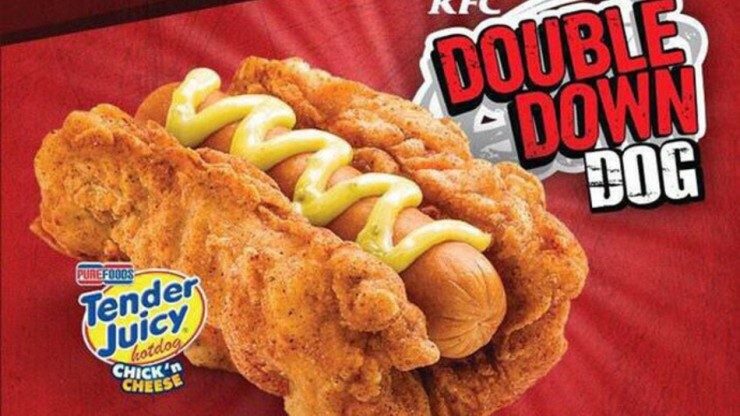 And KFC apparently feels that way too because the Double Down Dog was only available in extremely limited quantities, for two days… in the Philippines! That’s right, this beautiful monster was only to be sold at a select number of outlets in the Philippines, and each restaurant was limited to selling 50 of these a day. Why? We don’t know. But we’d love to start a campaign to convince the executives that there’s a market for this stateside. Because there is. Right? Right? Keep reading for a picture of it in the flesh.